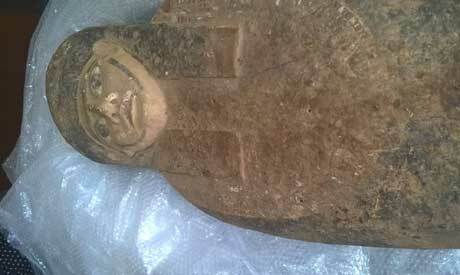 An ancient Egyptian coffin lid seized in March at Kuwait International Airport has arrived safely in Egypt and was handed over to the Ministry of Antiquities at noon today. 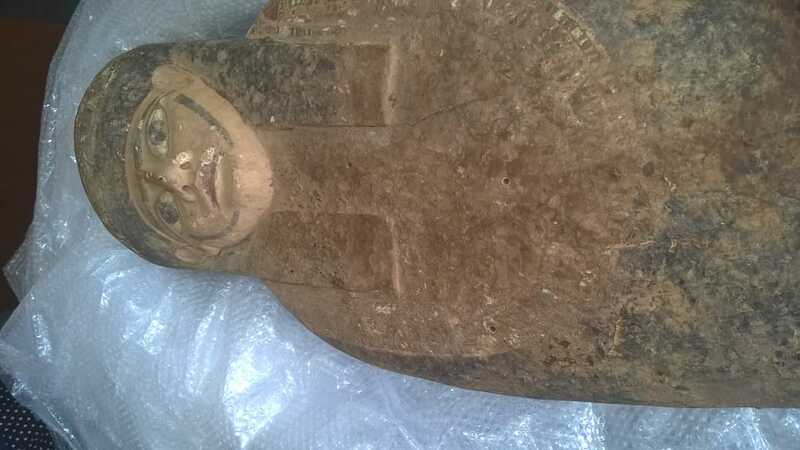 Shaaban Abdel-Gawad, supervisor-general of the ministry’s Antiquities Repatriation Department, told Ahram Online that the lid will be sent to the National Museum of Egyptian Civilisation (NMEC), where it will be restored and authenticated. 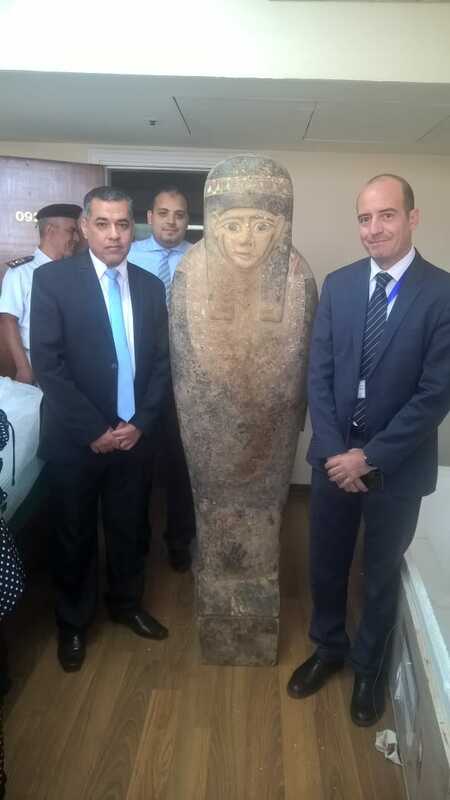 Abdel-Gawad thanked the Egyptian foreign ministry, the Kuwaiti foreign ministry, customs authority and the National Council for Culture, Arts and Letters of Kuwait for their full cooperation in returning the smuggled coffin lid to its homeland. In March, Kuwaiti authorities announced that officers working at the air cargo terminal at Kuwait International Airport had found a 186-centimetre coffin lid professionally hidden inside a sofa while scanning of a shipment of office furniture sent from Egypt. The coffin lid was confiscated pending further investigation in compliance with the UNESCO Convention on the Means of Prohibiting and Preventing the Illicit Import, Export and Transfer of Ownership of Cultural Property. Kuwaiti customs authorities reported the incident to the country’s National Council for Culture, Arts and Literature (NCCAL) to determine the coffin’s origin and historical authenticity. The NCCAL set up a committee led by Sultan Gawish, director of museums and antiquities at NCCAL, which included two Egyptian professors of ancient history and antiquities, El-Sayed Mahfouz and Ahmed Said, who work at Kuwait University, to inspect the condition of the coffin and report on its authenticity. 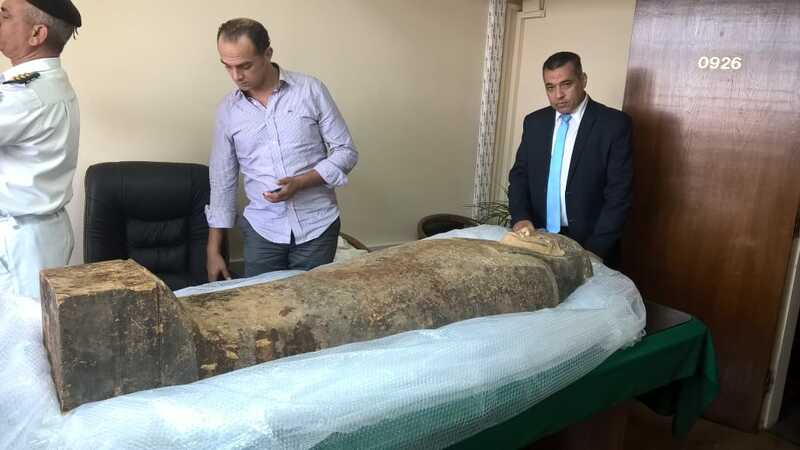 According to the committee’s report, Abdel-Gawad said the seized object is an anthropoid coffin carved in wood in the ancient Egyptian Osirin shape, except that the hands on the coffin are not folded together in the usual way. The lid is painted without any hieroglyphic inscriptions. Most of the surface is covered with a layer of calcined dirt and petrified rat dung. After examination, the committee recommended to return the lid to Egypt as the thick layer of dirt covering the coffin’s surface made it difficult for the committee to determine its authenticity. "The cleaning process requires special materials that are not available to the committee,” Mahfouz said, adding that after cleaning, specialists could take a sample from the coffin for radioactive carbon analysis in order to determine its authenticity.